Wildwoods Brazilian Grill Charcoal 500 S grill allows for complete customization. This model is fueled by wood or charcoal and includes a fire box module. 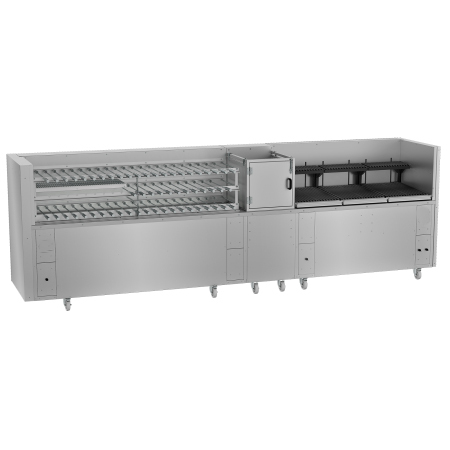 The unit can be configured to include manual or electric lift parilla grill for maximum versatility. Available in many sizes and configurations. See product cut sheet for complete details and dimensions. Wildwoods Brazilian Grill Charcoal 500 S is a masterpiece of grilling excellence. This style grill is a marriage of our two most popular grills our churrasqueira grill and our parilla, but the best part is our charcoal / wood burn box. 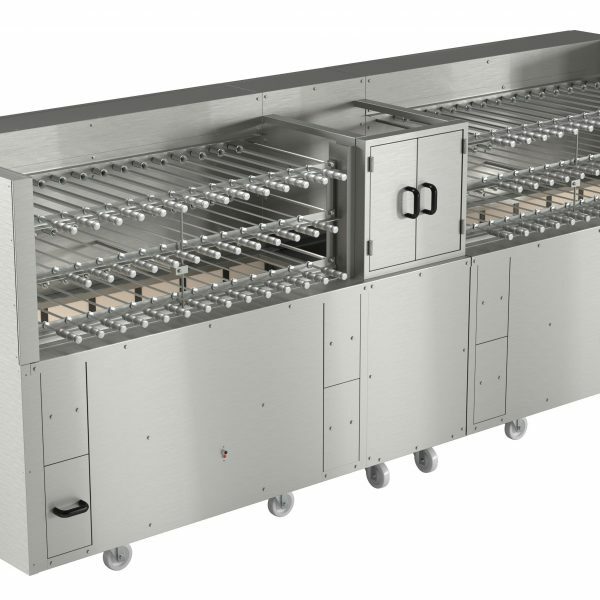 The grill has many size and configuration options. All grills include and trap door located in the fire box with a removable ash drawer for easy disposal. Parilla grill can be either manual or electric lift . For the electric lift mechanism Wildwood uses heavy duty robotic system. 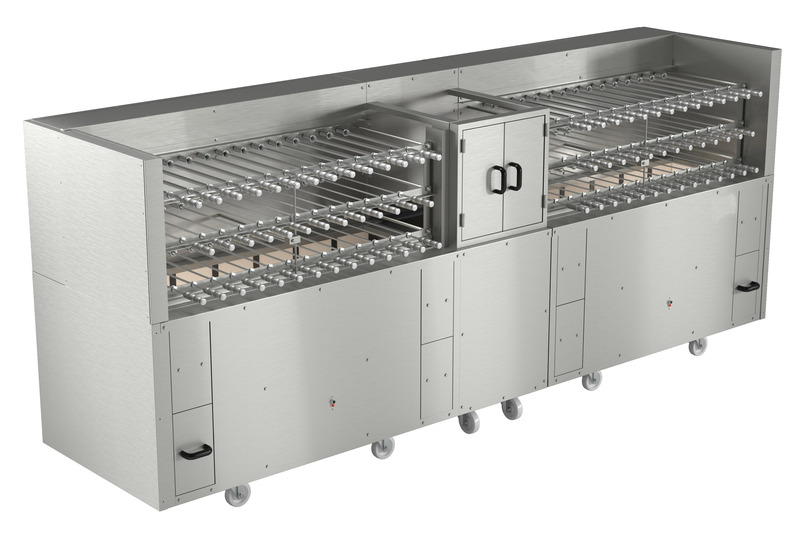 These grilling machines are true workhorses and designed to operate 24 hours a day 7 days a week. And not only that, included is 2 year warranty on parts and labor for peace of mind.